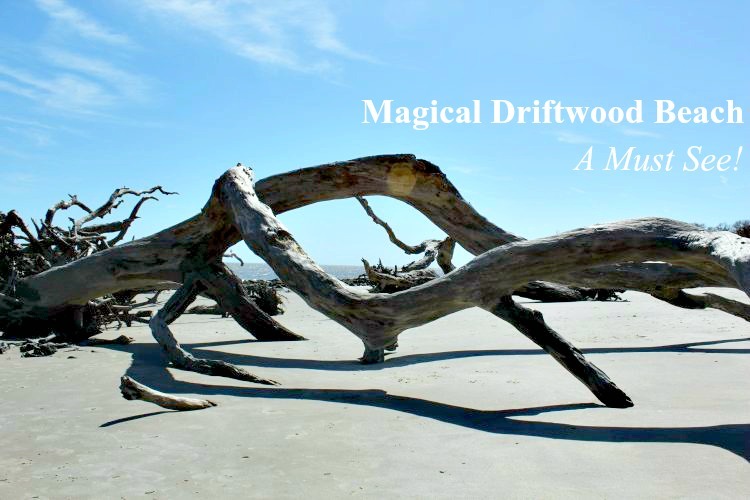 Home » Interests » History » Jekyll Island Club tours, not just for the rich and famous! 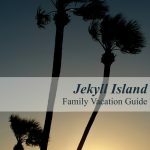 Jekyll Island Club tours, not just for the rich and famous! One hundred years ago, Jekyll Island Club was the beach island playground of America’s tycoons. The Vanderbilts, Rockefellers and Morgans — big names in banking and industry — escaped cold northern winters here where they hunted, fished and partied. Today, the island welcomes families, tycoon status not required, to play year-round. When we visited, we took one of the Jekyll Island Club Tours to learn more about the island’s storied past. 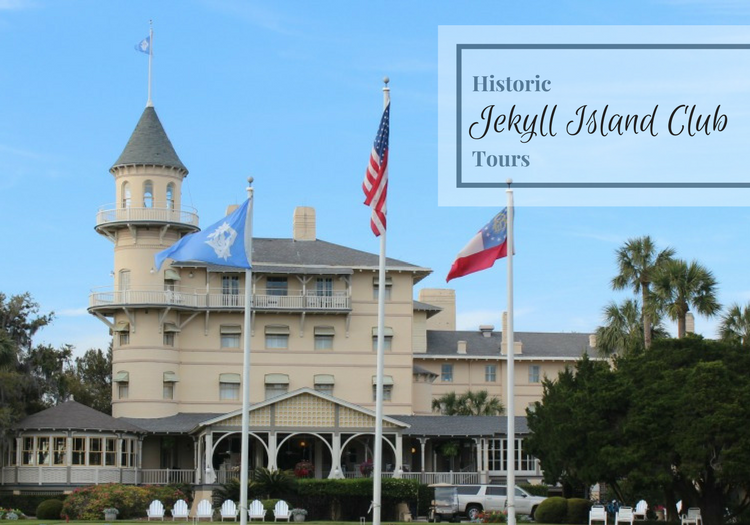 The “Passport to the Century” tour, which takes guests through the Jekyll Island Club property by trolley, is a fun way to learn history. Like most Jekyll Island Tours, ours began at the Jekyll Island Museum. We met our guide at the trolley — and waited for a couple of ladies who were late (grrrrr). Everyone boarded and we took off for the first stop: duBignon Cottage. Inside the air conditioned home (obviously a modern addition), our guide shared the story of how the Jekyll Island Club was founded — genius marketing played a huge role in it all! He also explained the techniques used in construction, particularly the faux painting — a sign of significant wealth in that day. We were then free to tour the home before returning to the trolley. As we rode through the 240 acre property, the guide entertained us with stories of competition among the wealthy. Even on this island retreat, they competed to prove their wealth. He shared stories of love, loss and pride. We paused often to admire the architecture as his storytelling continued. We stopped at the Mistletoe Cottage and learned more about the era. Ellie thought the idea of fainting couches was ridiculous! She definitely has strong opinions about how women dressed back then. We learned about the multiple kitchens in the homes, how the staff dressed and fireplace hazards (interesting tidbit). As the tour came to a close, our guide shared a significant moment in modern technology that happened right there on Jekyll Island! As much as we love history, I had no idea! 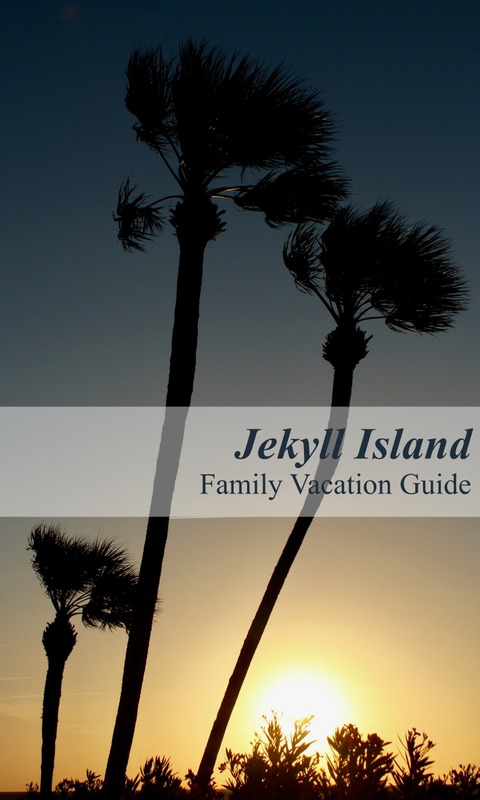 (But you’ll have to take one of the Jekyll Island tours to find out what we learned). We all recommend the tour, but not for families with little kids. Even though the tour is free to kids six and under, the little ones on our tour were not thrilled with it. Their parents did a great job keeping them from distracting others, but I don’t think they got as much from it as we did. With that said, I recommend this tour to families with kids aged 8+ and/or those with kids who love listening to storytellers. It’s a whole lot of talking without a lot of moving around. Be sure you buy tickets early! We planned to go on the 11 a.m. tour, but they sold out early that morning! WOW! The 1 p.m. tour also sold out, so we bought tickets for the 3 p.m. tour. Quite a few families were disappointed that they couldn’t get on the 3 p.m. tour either. I had no idea a historic tour would be so popular! Also, if visiting in spring when the no-see-ums are active, be sure to wear long pants! The bugs feasted on Rob’s and Ben’s legs every time the trolley stopped for a few minutes. 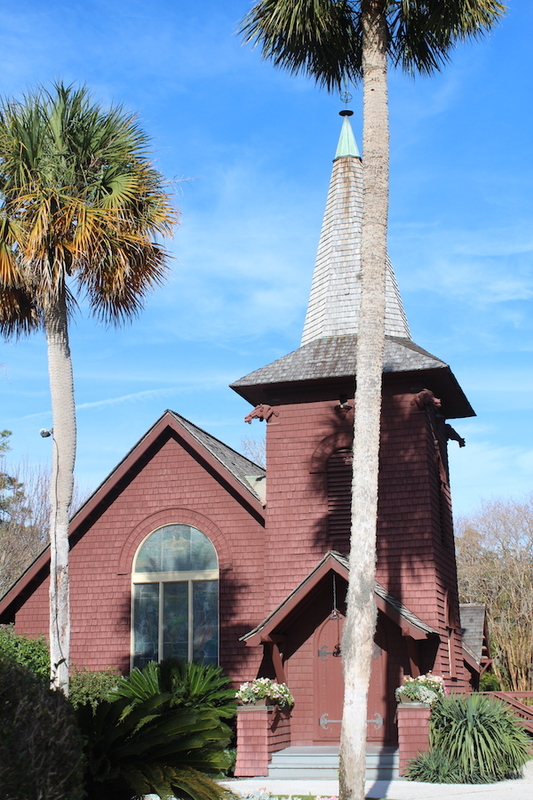 And finally, the tour includes separate admission to Faith Chapel, a truly unique structure on the island, with stories of its own to tell. When: The 90-minute tours depart at 11 a.m., 1 p.m. and 3 p.m. daily. 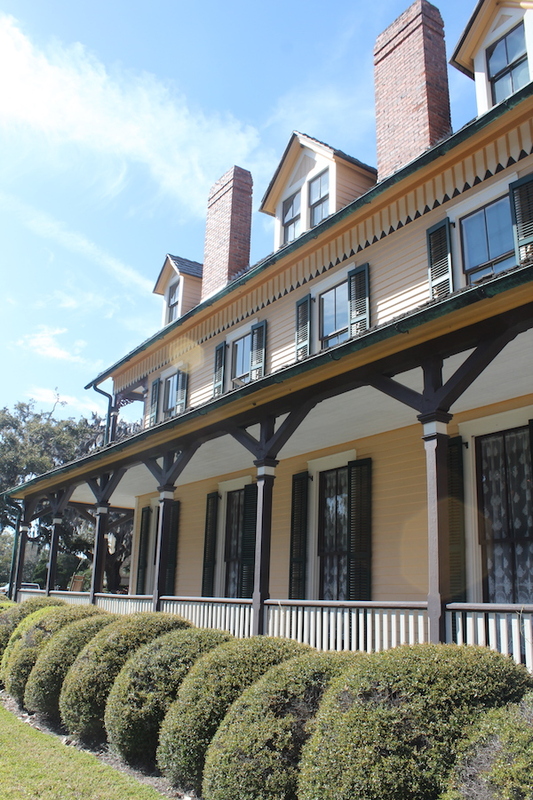 Where: The tours depart from the Jekyll Island Museum, located at 100 Stable Road. Cost: Adults: $16; Children ages 6 to 12: $7; children under 6 years of age get in free. Purchase: Purchase tickets by calling 912.635.4036. Tickets are not available online. 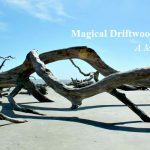 Our thanks to the Jekyll Island Authority for providing admission to this tour for purposes of this review. All opinions are my own.